Try this game with your friends and family this Easter break and you won't feel so bad when you finish off your favourite chocolate egg. It takes just minutes to set up – all you need is a sheet of paper, a pair of scissors and some plastic fillable Easter eggs or small containers and you’re good to go! Miss Hennessy has compiled a list of mini exercises for our hunt challenge. 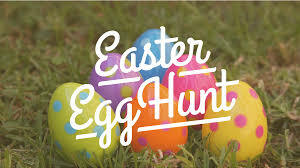 All you need to do to set up this egg hunt is print off the list below, cut it into strips containing each mini exercise challenge, pop the challenges into the plastic eggs or container and then hide them around the house or garden. The first to complete all the exercises and find the egg is the winner!! Healthy Living Week is a transition year initiative to promote a healthy lifestyle for all, especially students and young people. Transition year student, Aoife Redmond shares her experience of Healthy Living Week. Healthy Living Week was held in the school from Monday 24th to Friday 28th of September. Healthy living week was the first big event for the school of the school year. It was a challenging task for all the transition years as we were put in charge of asking local businesses to come in and speak about keeping our body and mind healthy. In collaboration with the home economic teachers, Ms. Dunstan and Ms. Doolan, we made a timetable which included all the talks and active classes for the different year groups. In the timetable there was something for everyone, including free fruit and yoghurt being given out during break time every day. There was also a range of lunch time activities that were open to everyone. All in all I think the week went very well and it was a huge success for the school in making everyone more aware of leading a healthier lifestyle and being more active. There were a lot of different activities and I think there was something for everyone. 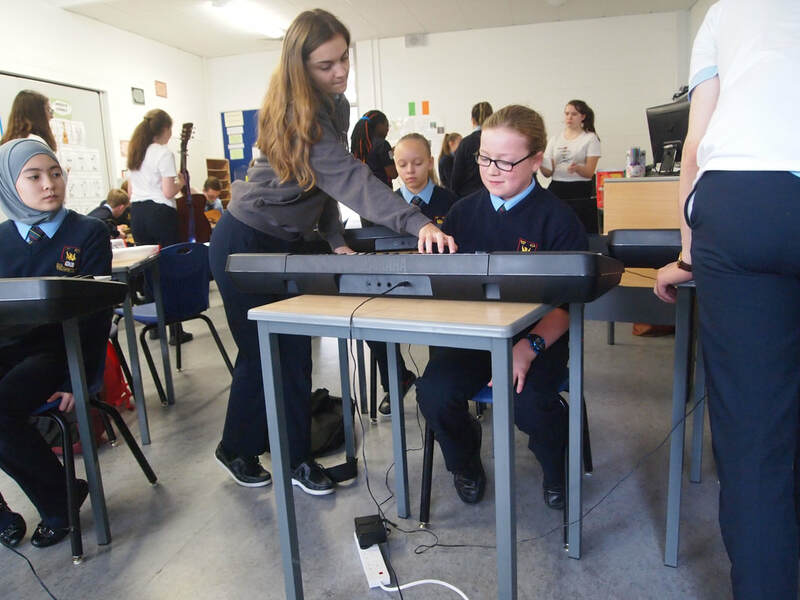 For instance, if you weren't sporty but you liked music or art, music lessons were held in the music room by some of the TYs. There was also a mindful art class held on one of the days that myself and a few other TYs attended and just relaxed and coloured for lunch. During healthy living week I also was took the opportunity to get fitter and eat healthier. Every day I went to the canteen to get some freshly cut fruit and a Glenisk yoghurt. I also attended the Zumba class held in the PE hall given by Dorinda Cuskelly. I really enjoyed the dance and fitness combined in the class and defiantly felt the burn in my legs the next day as well! I love all things sport and being active and just helping others become more active was also a big part of healthy living week for me. It was a great experience and I really enjoyed the whole week. I would do it all over again in a heartbeat and I am already looking forward to next year. #5 TRUTHWITCH (Susan Denard); This book has interesting plot development and constant action. It's two protagonists are sisters Safiya and Isuelt. Safiya is a TruthWitch; she can tell a truth from a lie. Isuelt can see people's relationships, how people are connected. The story is set at the end of a 20 year peace treaty, where the world is about to descend into chaos. Many people can, and will, kill for a TruthWitch. #4 THE MALEFICENT SEVEN (Derek Landy); from the world of Skullduggery Pleasant. It helps if you've already read the Skullduggery Pleasant series, but this can be read as a stand-alone also. It is told from the perspective of the villains in Skullduggery Pleasant (who are seriously rebelious.) Even if you don't particularly like the Skullduggery Pleasant series, I still recommend you try this. #3 THE CURIOUS INCIDENT OF THE DOG IN THE NIGHT TIME (Mark Haddon); If you have a soul you will enjoy this book. It shows life from the perspective of someone who has a different understanding of it, and is brilliant. Christopher John Francis Boone is the protagonist. He takes the world entirely literally, his dream is to be an astronaut. He knows all the countries of the world, and their capitals. He knows every prime number up to 7,057. He hates the colour yellow, and doesn't understand human emotions. He greatly admires the logic of Sherlock Holmes, and is trying to solve the mystery of the death of his neighbours dog... I've a;ready told you too much! It's a great read. #2 WARCROSS (Marie Lu); This book is amazing. Seriously (if you're not completely repulsed by fiction)! This is definitely required reading material. The protagonist is a bounty hunter named Emika Chen. It is set in a dystopian future where virtual reality has progressed immensely. The limits of your imagination are the limits of your world. #1 THE SIX OF CROWS DOULOGY (Leigh Bardugo); Even if you don't like fantasy novels, read it, you will never be the same. If you do like fantasy novels, well, why haven't you read this already? I would rate it above Harry Potter, that's how awesome these books are! It is set in a fantasy version of Russia, the protagonist is a criminal Prodigy who is about to pull of the most daring heist in history. ​Starting a new school can be a challenge. So, to help you out, we asked our Second Years to share their top tips on 'How to Succeed in First Year.' While everybody is different, maybe one of these tips will work for you. 1. Respect your teachers and others around you. ​ "Always listen to your teachers. They will know more about the subject than you." 2. Ask for help if you need it. "If you ever need help in school, don't be afraid to ask a teacher or another student." "Try not to worry about what people think of you, you'll find your group of friends. Don't change to fit in." 4. Get yourself organised, don't leave everything until the last minute. "Make sure you have all of your books for your class, beforehand." "Never leave studying for a test until the night before. You will start to panic and forget everything." "Always be positive, don't let anyone make you do anything you don't want to do." "Sign up for everything, you will never get more opportunities than you do in first year." "Don't worry about the older students, everyone has to go through first year." "Give everything a go. Even if you don't you like it, at least you had the experience of trying it." "At the beginning of the year, you may feel like you're on your own. You may be scared or worried for the months to come. Take a deep breath, relax and enjoy yourself!" 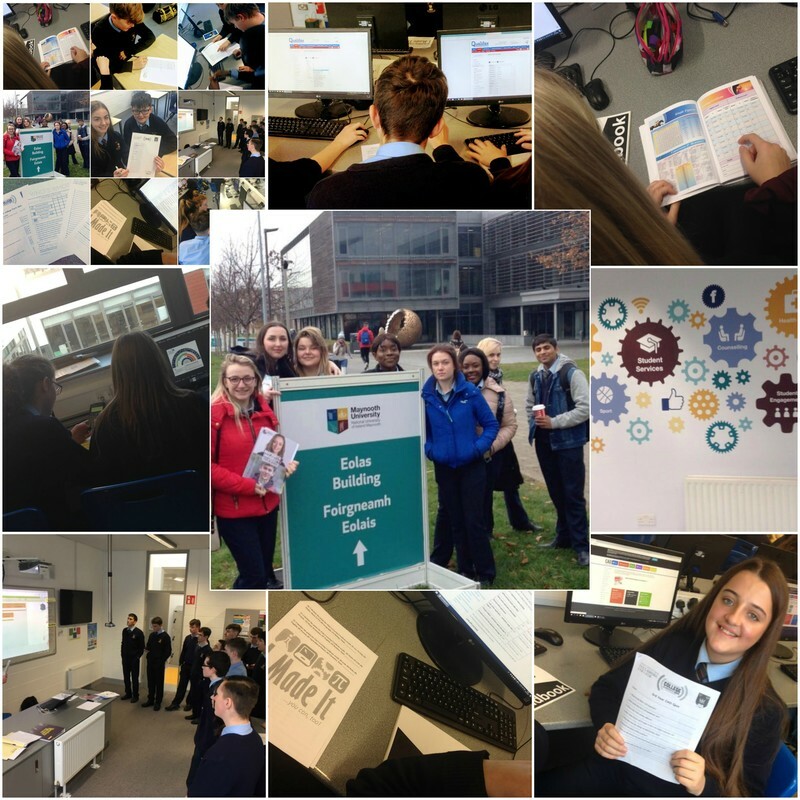 Our blogs are written by many different authors at Tullamore College. Contact us for more information on how you can get involved in our blog.